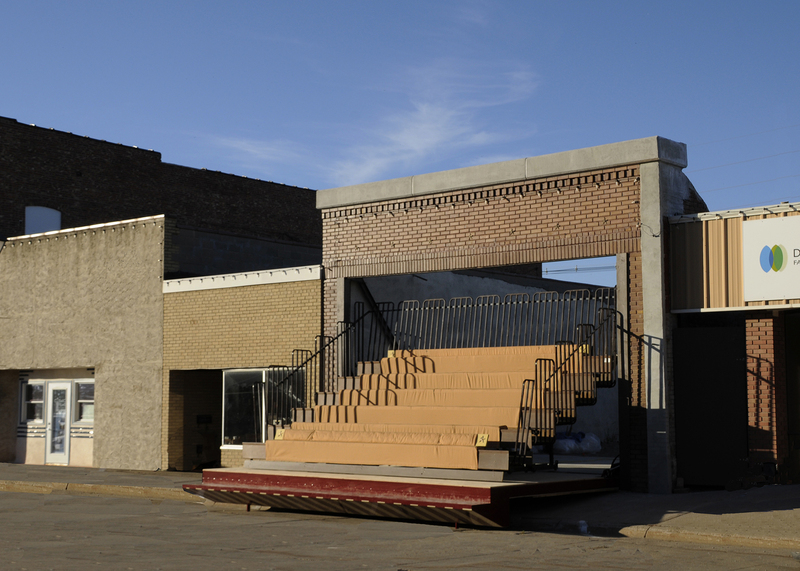 In Downtown Lyons, Nebraska USA where businesses have closed their doors, a unique event space is developed from the community’s input that uses an abandoned storefront to transforms Main Street into an outdoor theater. As they build the theater, a documentary is proposed by the people of Lyons - “Decades: A story of Lyon’s Downtown from the founding to the present day.” Over 100 people volunteer with their period costumes and vintage cars to make this movie debut in their new theater. 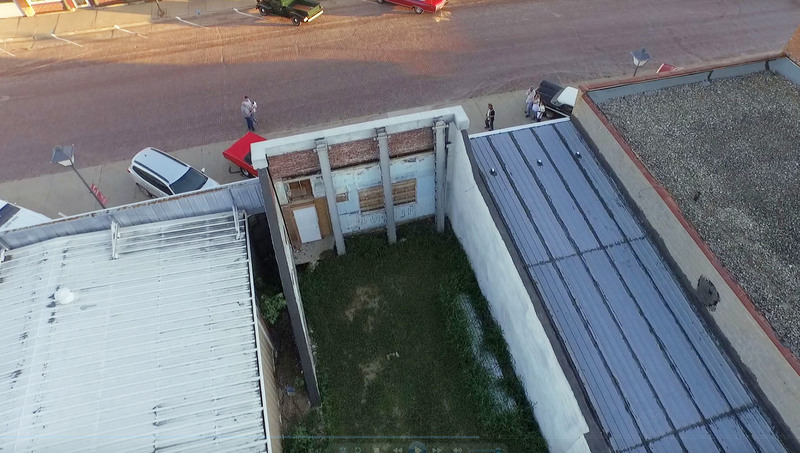 The project began when Matthew Mazzotta, who was invited to organize a project in Lyons, asked people from the community to join him in a ‘outdoor living room’ placed on Main Street as a way to provoke discussion and capture stories and ideas. During these discussions, many community members reveal fond memories of a once-thriving downtown and express a strong desire to see downtown become the center of community life once again. As the community pulls together to build the retractable theater, a local retired postman who dabbles in movie making asks to be part of the project. 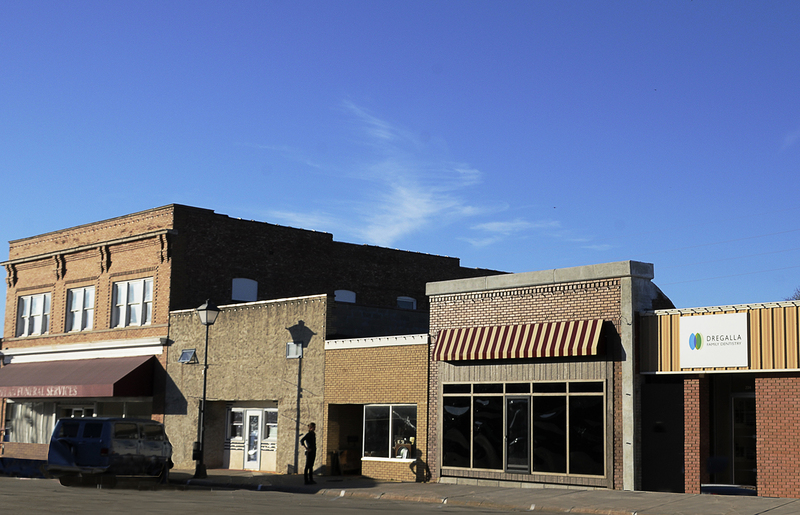 The concept of a documentary for the opening night of the theater is developed called “Decades” - a story of Lyons downtown from the founding of the town to the present day. To help the amateur filmmaker realize his dream of creating a feature film, over 100 local people volunteer all summer with period costumes and their vintage cars. Since the opening, THE STOREFRONT THEATER has hosted a number of events organized by the people of Lyons and the surrounding towns and cities, including several movie screenings, video game nights, and music concerts. The new energy that the venue has brought to Main Street has also inspired another Lyons native to purchase the empty building right next to the theater and turn into an art gallery that had its first show in December and is booked with a different show for the next 6 months. THE STOREFRONT THEATER is a pioneering social initiative at the intersection of community life and sustainability. 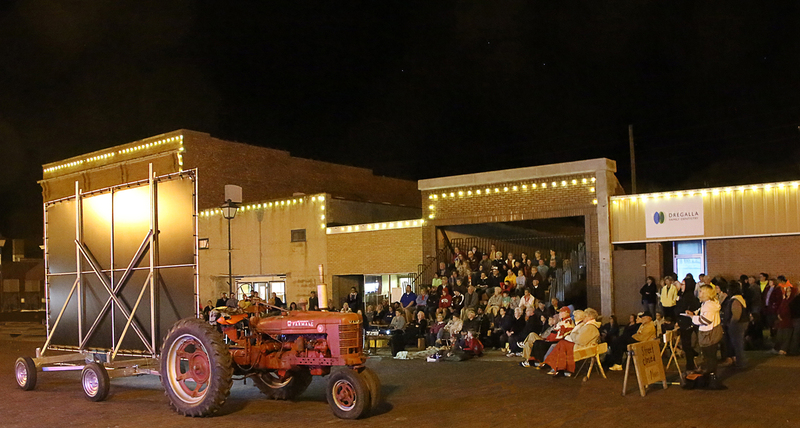 It is a unique event space that transforms Main Street into an outdoor theater by using an abandoned storefront wall in downtown Lyons as its site. The wall is modified with two hydraulic cylinders so that the awning and false front fold down over the sidewalk with the push of a button, providing seating for 100. Both the seats and the screen retract and disappear when not in use.